Saura Jalnidhi scheme is launched by Odisha Government. This is the best and most awaited scheme by Odisha government. This scheme has been launched by the Odisha Government only for Former for their filed irrigation. Under this scheme, the government will give the 90% subsidy to the former. 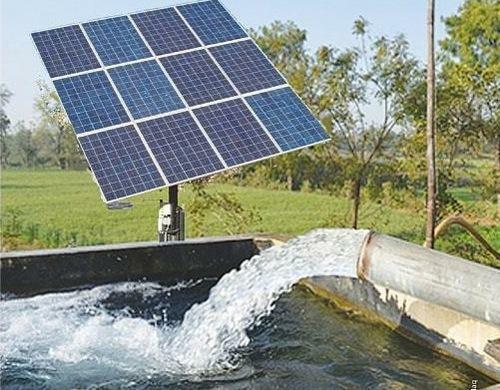 And will give the 5000 solar pumps. This scheme is only for those who have farmer identical and minimum land should be 0.5 acres. By this scheme, the government wants to best and super service to the farmer. By giving this scheme mostly farmer will be happy and motivates themselves. To maintain the farming in easy methods with the latest technology. This scheme provides to save the electricity and encourage for farming. Its best use in the remote and rural area. This scheme is useful for those areas where there is no proper electricity. With this scheme, employment will increase by around 1.2 lakh. Farmer will get happiness from this scheme. This scheme is all above given. If you are belonging to Odisha. This for all farmer. Dear All readers of Jankari Hub in this post i would discuss about POS machine that was launched by State bank of Inida. Below i give some important point related to this. Customer can make the payment through this machine without any card. No need to carry any card to make the payment in this machine. This POS Machine has QR Code to make the payment like Paytm etc. Customer can make any payment by UPI, Bharat QR and SBI Buddy . Customer can make the payment by wallet also. Welcome to our website Jankari Hub today i would disclose a most important government scheme that was launched by Bihar Government (Nitish Kumar) . The scheme name is Mukhyamantri Kanya Utthan Yojana , This scheme main aims for empowerment of women in all kinds of area like Health, Education, Social welfare etc. Below i give some most important points related to this scheme. Approximately Rs. 7221 Crore will be spent on this scheme by state government . Government will give the Rs, 54,100 from any girls birth to her completion of Graduations. This amount will be given in parts like on birth, schooling, graduation etc. On the birth of any girls family member will get 2000 .
when family member get completed the girls child aadhar card then the will be given 1000. Girl will get 600 rs. for her admission in firs class schooling. When girl enter in class 3 standard to 5 standard will be given 700 rs. for dressing. from class 6 to 8 she will get 1000, and 1500 will be given for 9 to 12 standard. After graduating she will get 25000 for marriage purpose. One important things is that if any girls have passed out 12th this year will get this amount 10000. This scheme is the most important for Bihar people. so you are requested to share this post. share this post special in Bihar. Dear All readers of Jankari Hub today i would discuss about ‘Swachha Meva Jayate’ Scheme in details. As this scheme has been launched by Karnataka state government to clean the city and state . this scheme mail aim to keep the city and state neat and clean. This is not a proper scheme this is a campaign . This campaign has been launched by Deputy chief minister of Karnataka Mr. Dr G Parameshwara. For this campaign the state government has announced for the new logo . This campaign come under the Swachh Survekshan Grameen 2018 (SSG 2018) survey, and this is a part of Ministry of Drinking Water and Sanitation . This is related to Swachh Bharat Mission . This scheme is a good for any state or any district. Dear all Readers of Jankari Hub today i would discuss about a new scheme was launched in Goa by Chief minister of Goa Mr. Manohar parrikar in Panaji Goa . This is an app based taxi for tourist of Goa. The main purpose of this taxi service is to give the proper and convenient charge from the tourist. Because in Goa there was no such type of taxi service available to take the minimum charge for tourist. To avoid more fare from private taxis . There would be transparency in fares for the customers. With this scheme tourist will attract to Goa. Private taxi can not take more fare from the customer and tourist. PM Modi will Launch “India Post Payments Bank” on August 21 2018. Dear All readers of Jakarihub.com you will get happy to listen the news of Opening “India Post Payments Bank” . This service will be launched on 21st August 2018 by PM Modi Ji. This is main Aim to provide the banking service in whole India Below i give some important points related this. Short information about this service. This main purpose to give the banking service in Rural area of India. Near about 648 Branches will be opened in country . Government will connect at least 1.55 Lakh post office branches with IPPB. Payment Post Payment Bank will give the all service like other banks . This payment bank will provide the RTGS, NEFT, AND IMPS to its Customer. Government will make the all payments through this payment bank service like NREGA Wages, Subsidies, Pension etc. Government of India has decided to launched an App of India Post Payment Bank . With this app customers can make the recharge their mobile or DTH, make bill payment of electricity etc. This payment bank will accept upto 1 Lakh each customer account. FICCI Ladies Organisation has launched a mobile app ‘WOW’ (Well for Women) . This app main aims to provide the proper awareness on preventive health care . This app is powered by Ask Apollo city based Apollo hospital Group . By this app uses can talk to doctors through video calling chatting , voice call and emails. Users can upload clinical reports where medicine are written . this app main purpose to help the women .